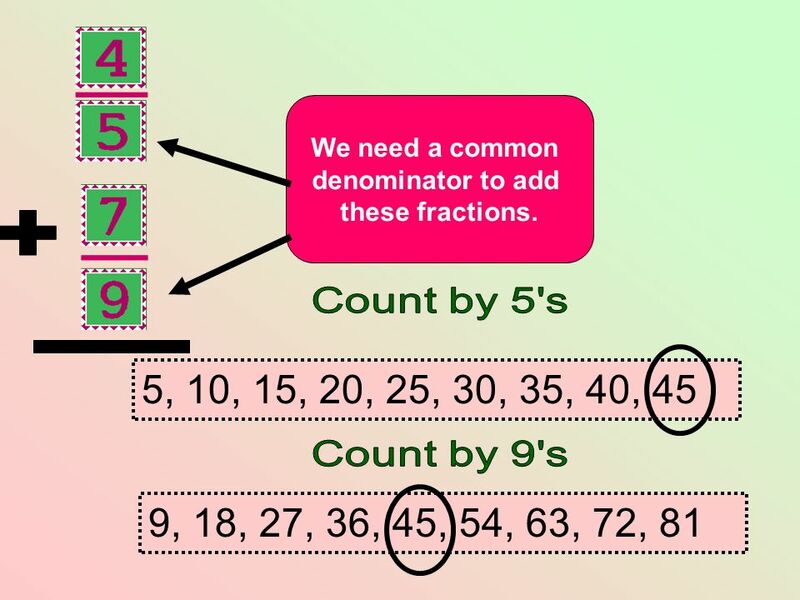 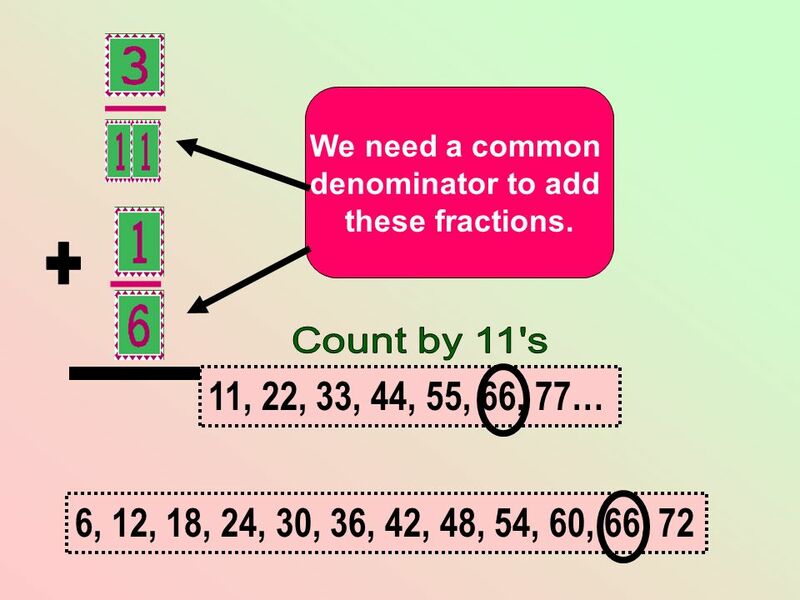 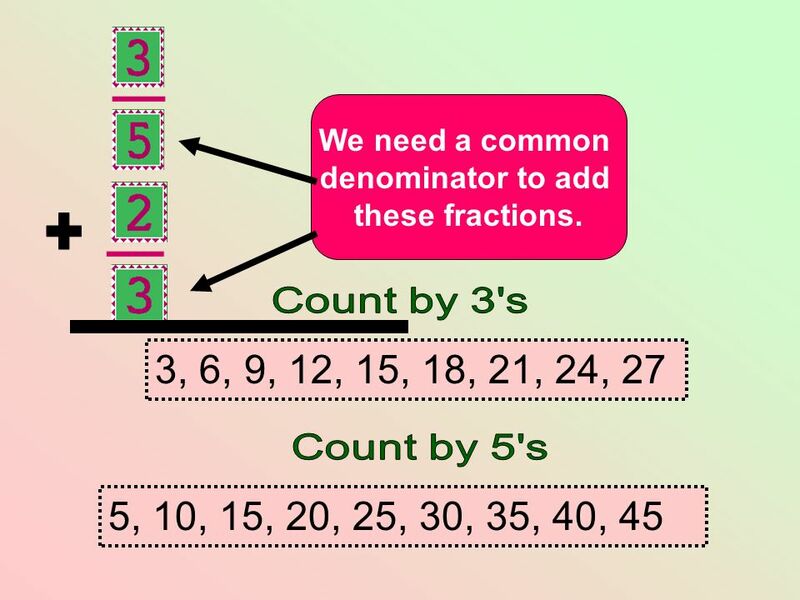 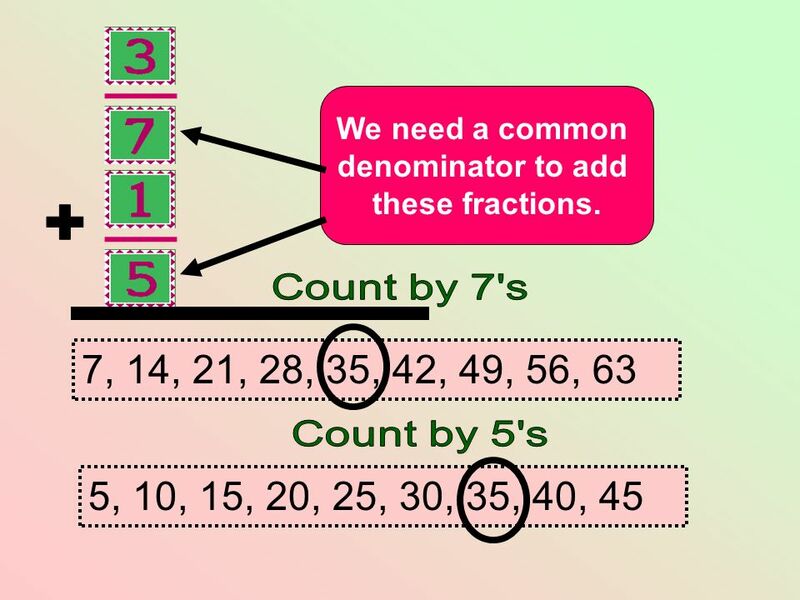 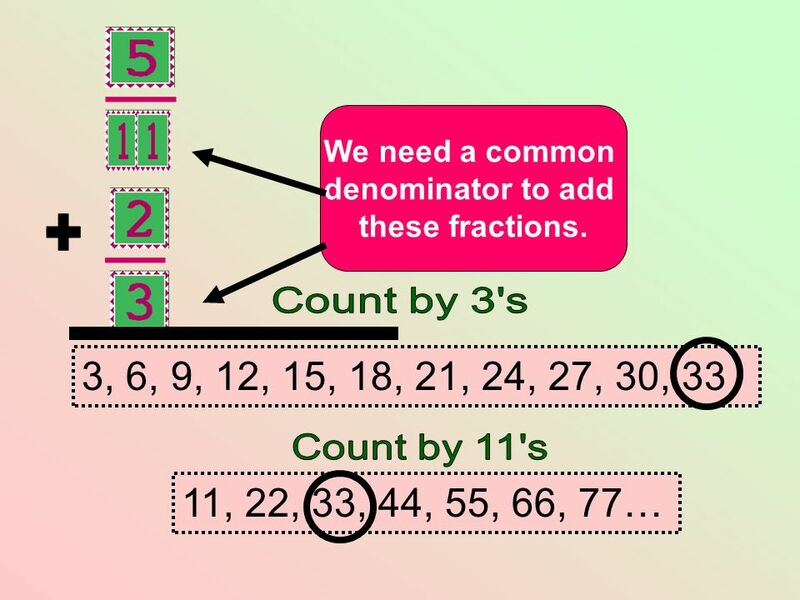 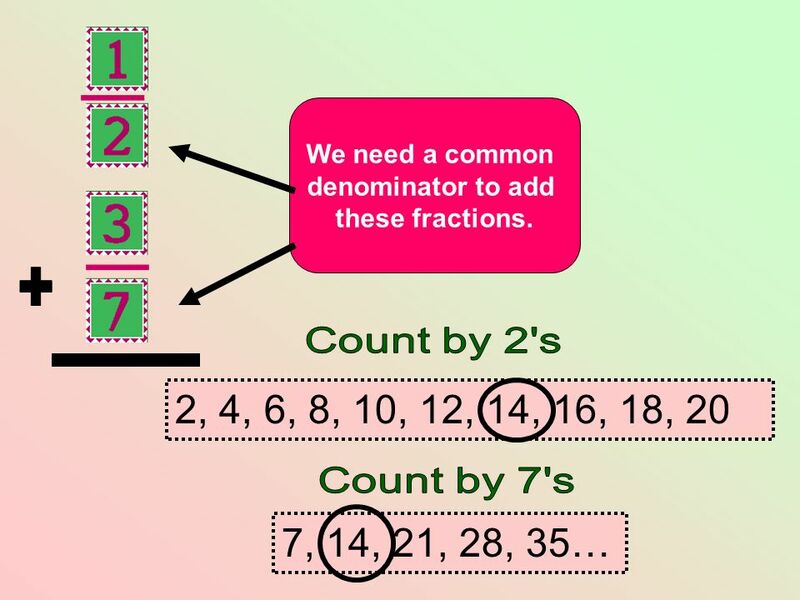 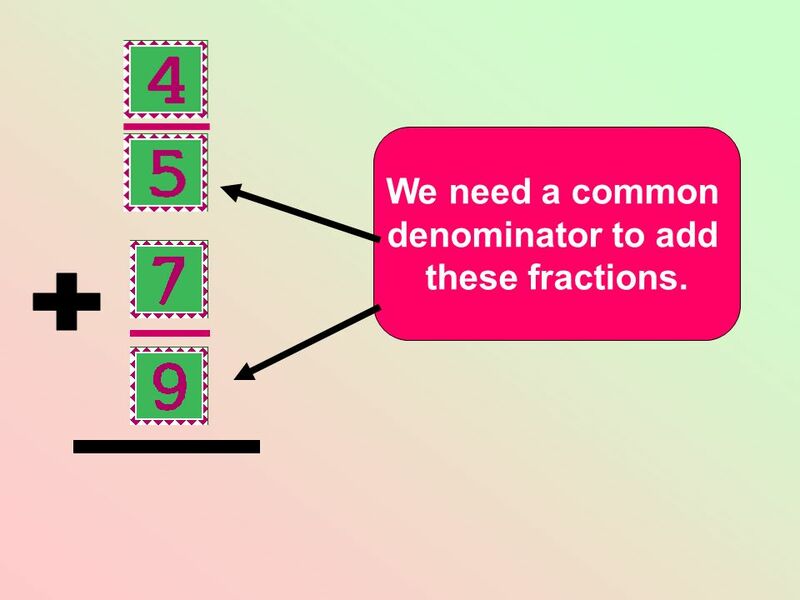 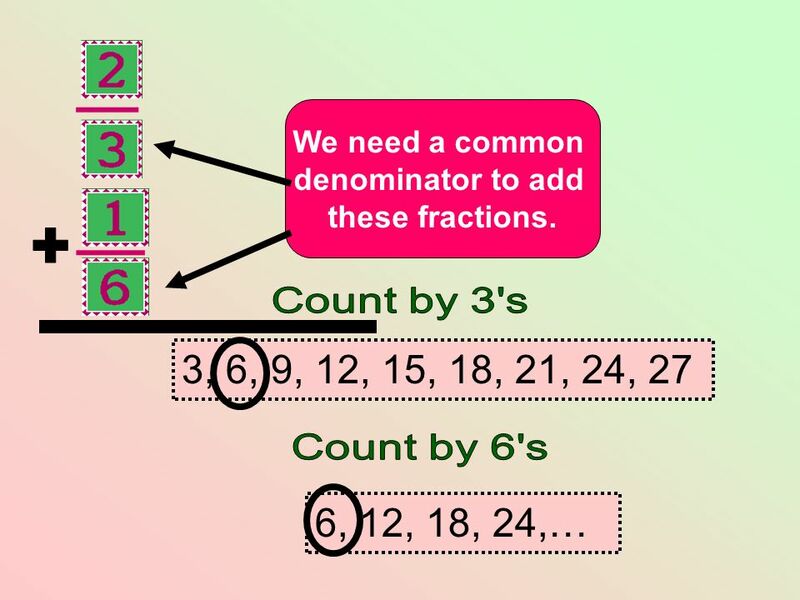 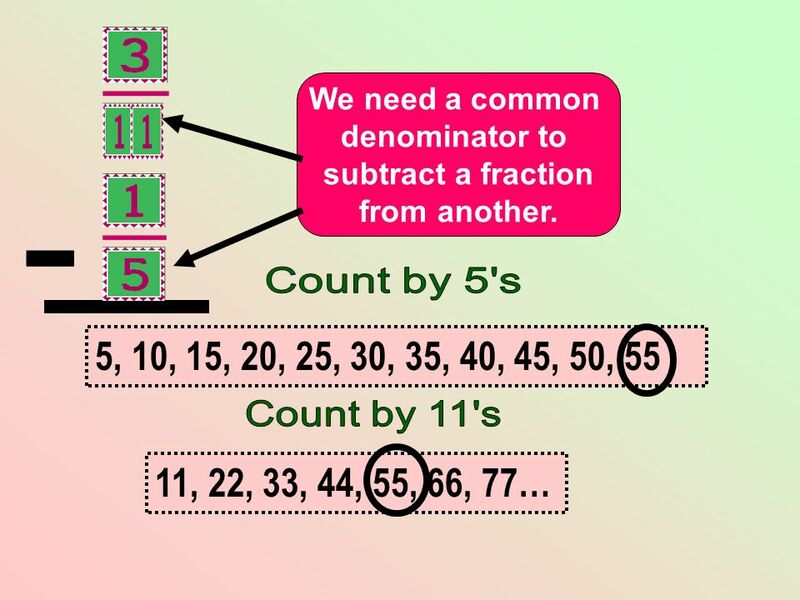 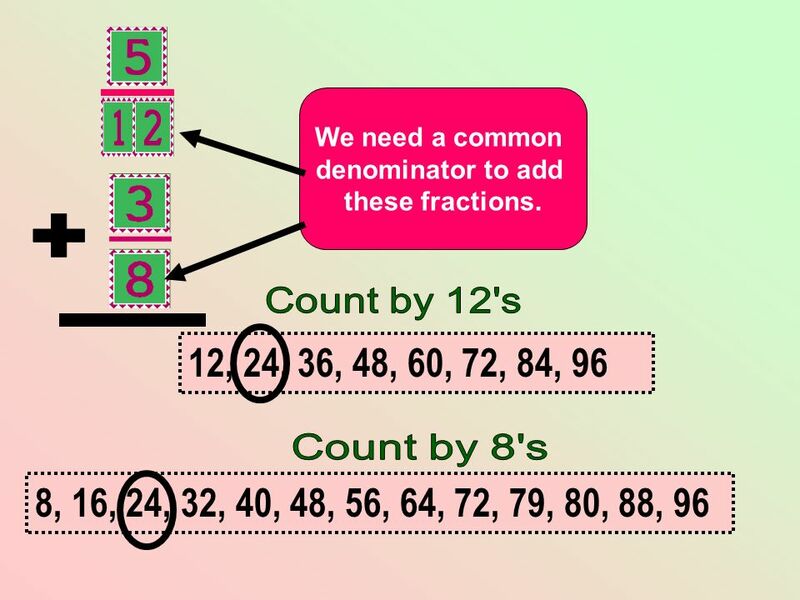 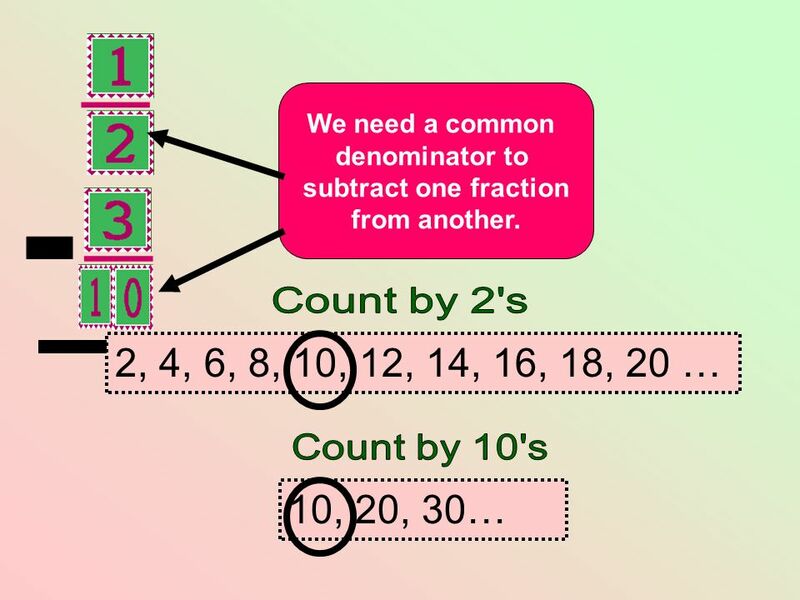 Use this presentation to teach the steps for adding and subtracting fractions with unlike denominators. 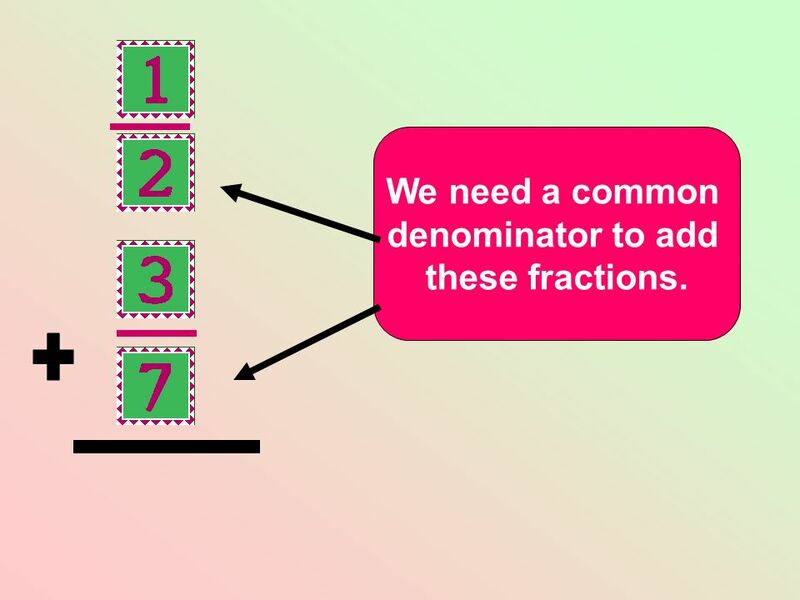 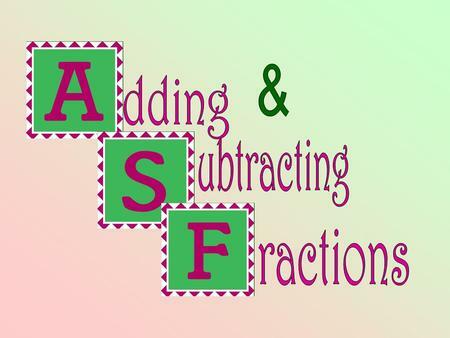 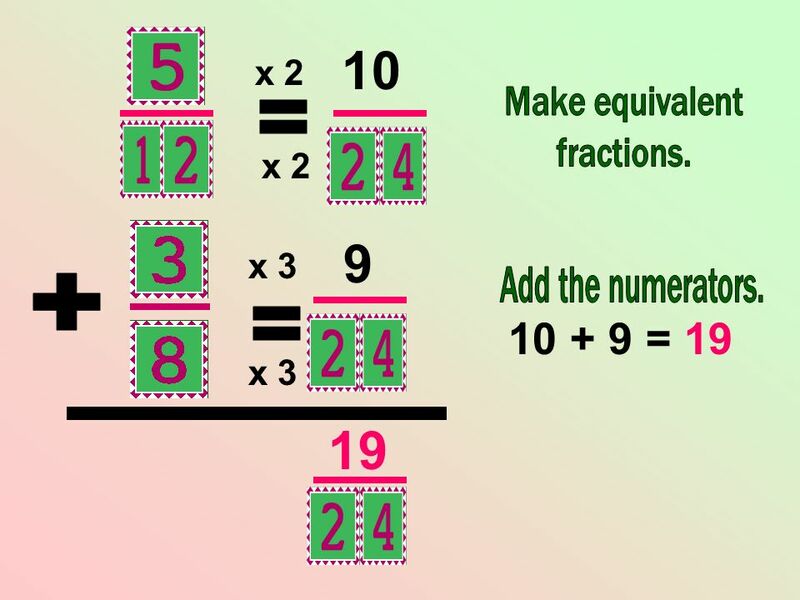 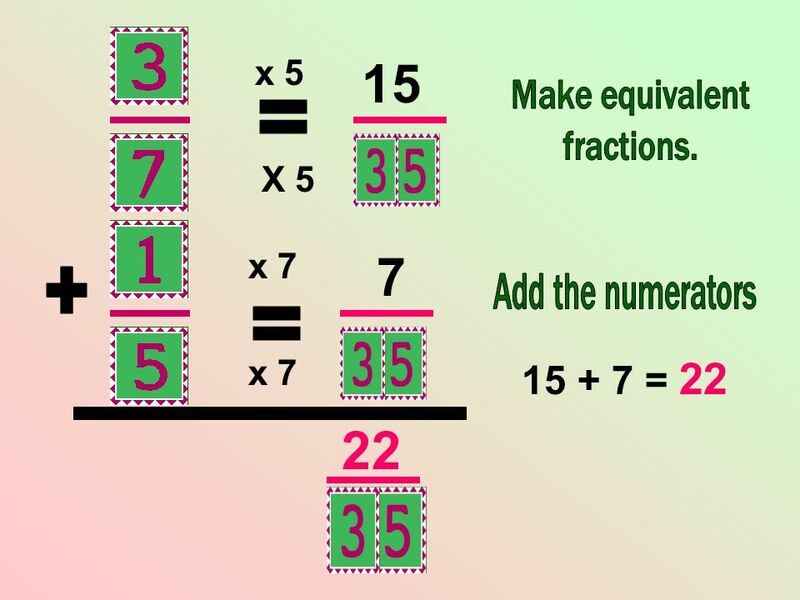 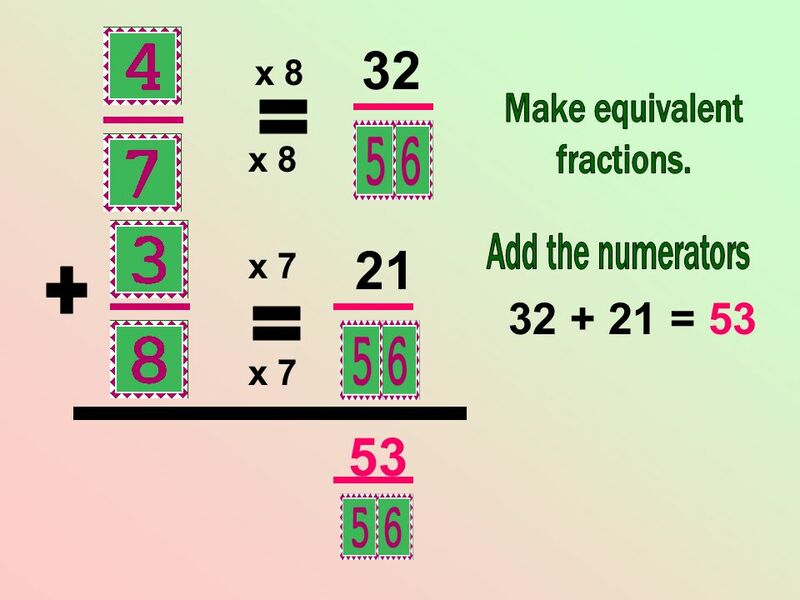 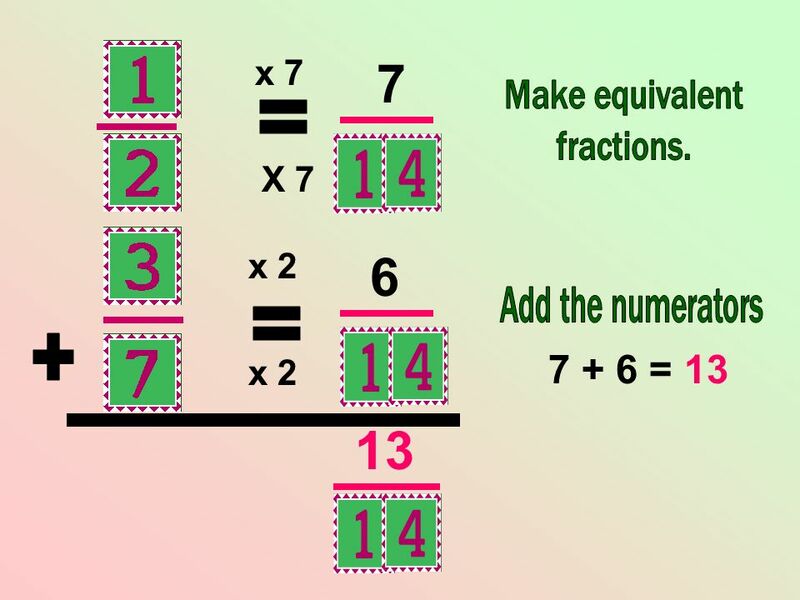 It is assumed that students have a thorough understanding of the process for making equivalent fractions. 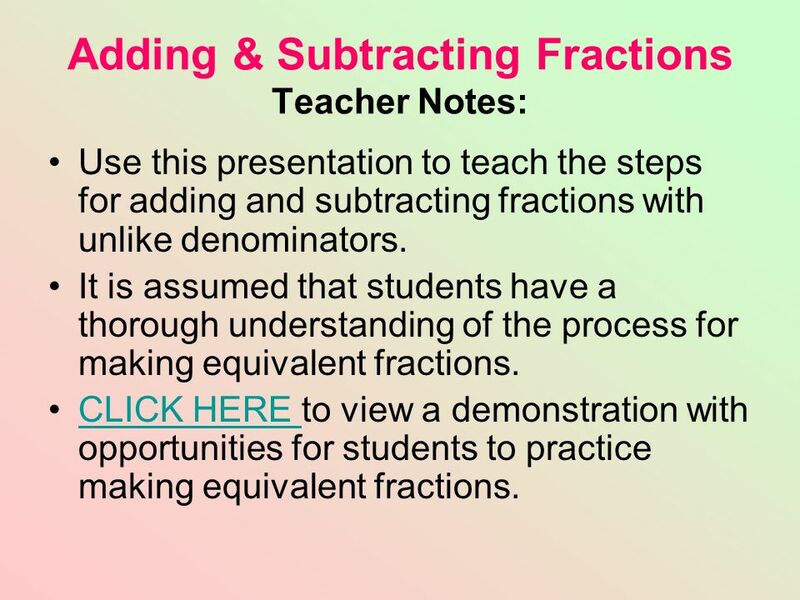 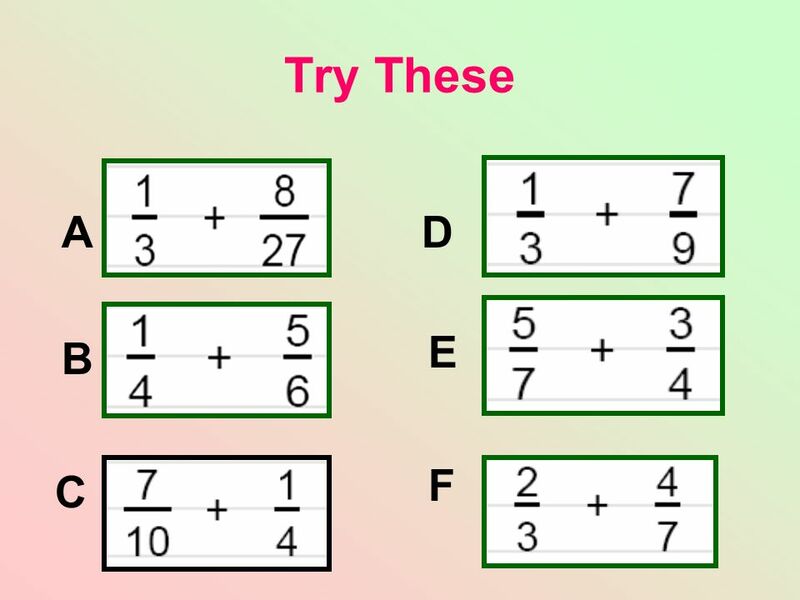 CLICK HERE to view a demonstration with opportunities for students to practice making equivalent fractions. 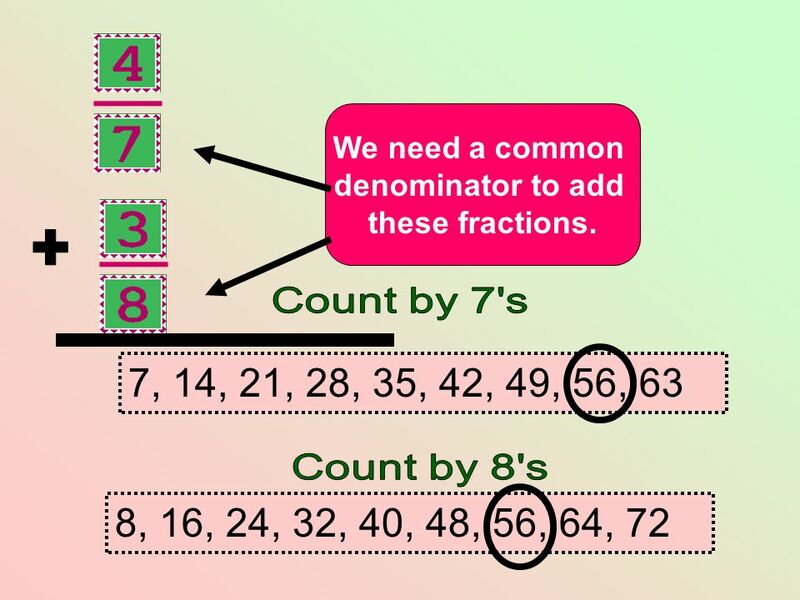 6 7 6 13 = = + 7 + 6 = 13 x 7 X 7 x 2 x 2 Make equivalent fractions. 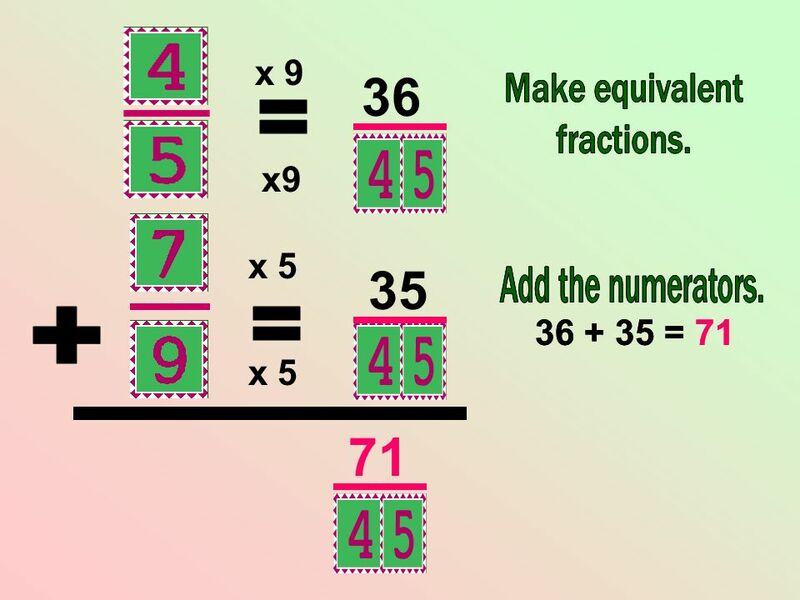 8 15 7 22 = + = 15 + 7 = 22 x 5 X 5 x 7 x 7 Make equivalent fractions. 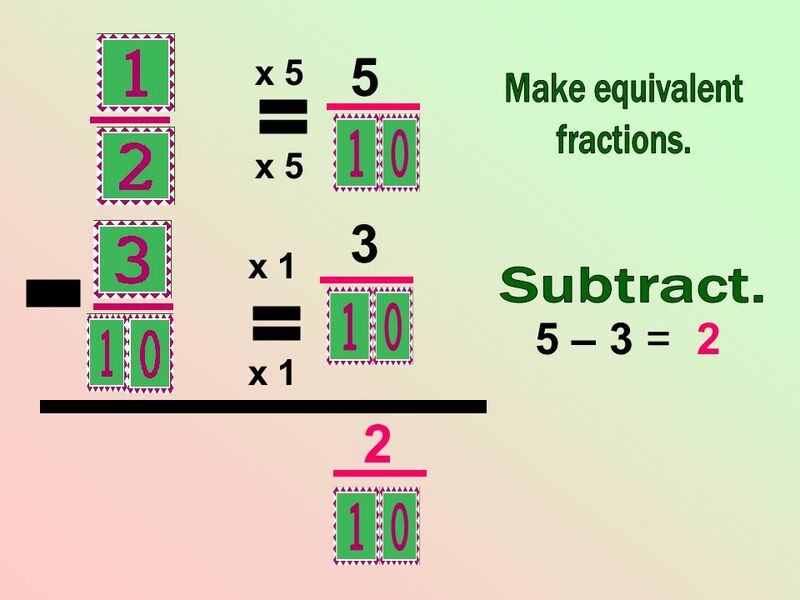 10 32 21 53 32 + 21 = 53 = + = x 8 x 8 x 7 x 7 Make equivalent fractions. 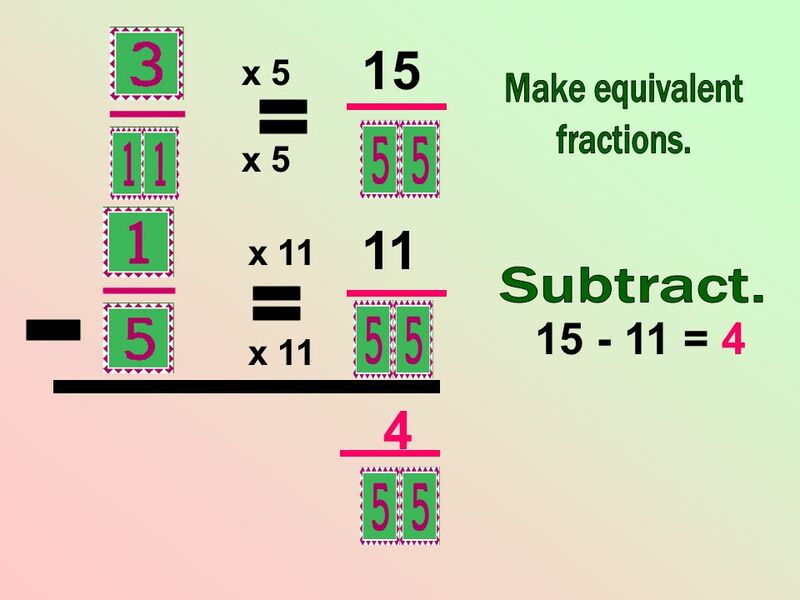 16 4 1 5 4 + 1 = 5 = + = x 2 X 2 x 1 x 1 Make equivalent fractions. 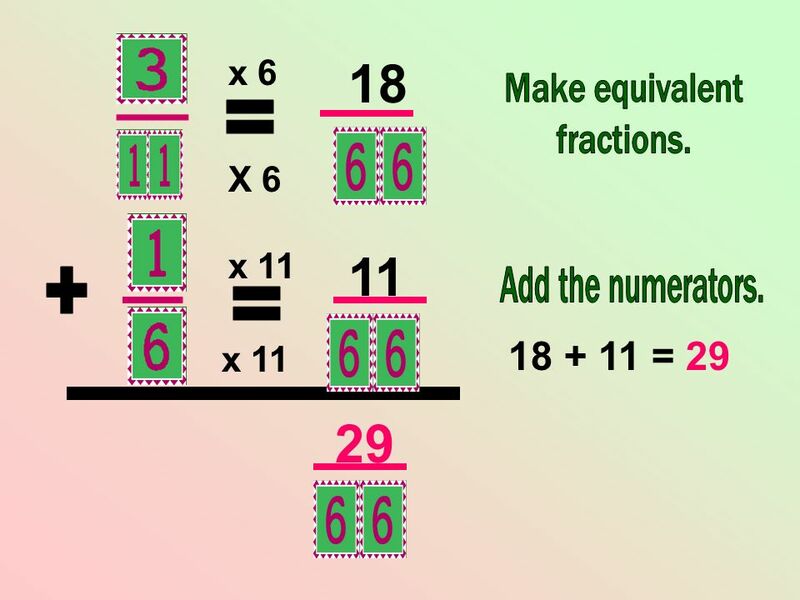 24 10 9 19 10 + 9 = 19 = + = x 2 x 2 x 3 x 3 Make equivalent fractions. 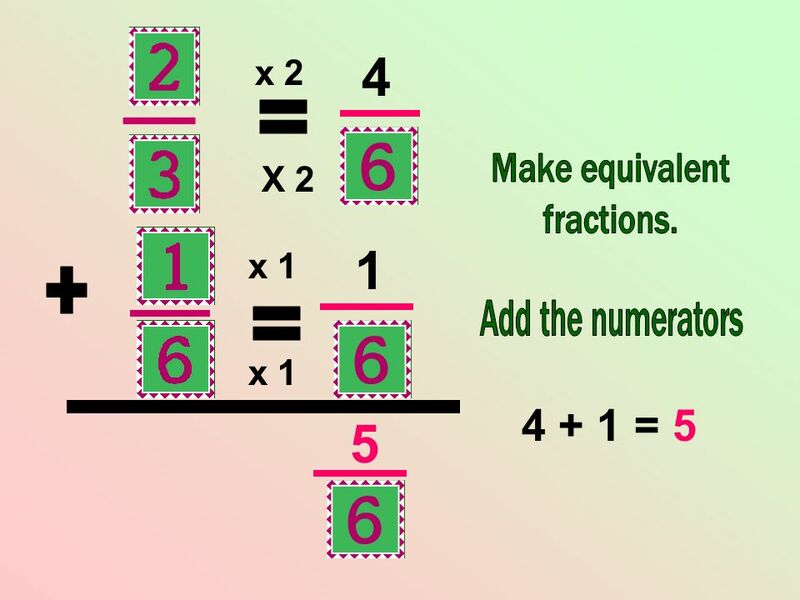 26 15 11 4 15 - 11 = 4 = = - x 5 x 5 x 11 x 11 Make equivalent fractions. 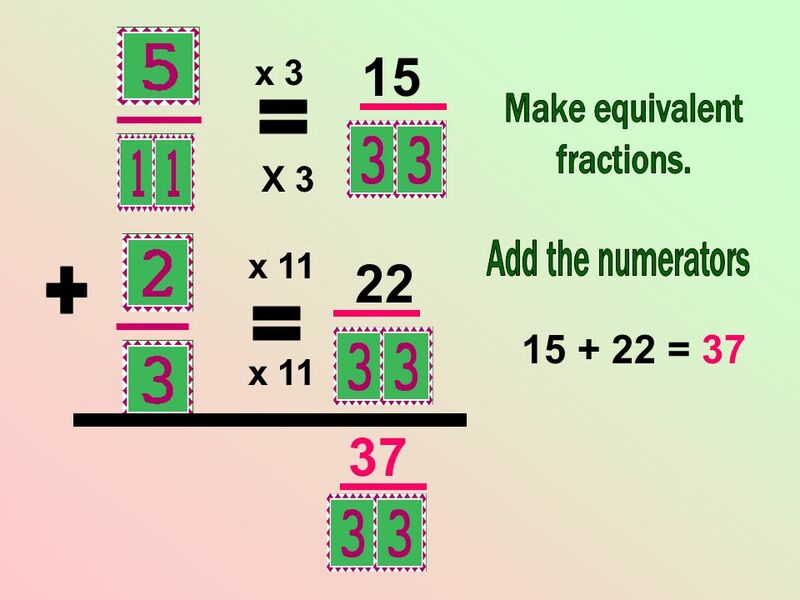 28 5 3 2 5 – 3 = 2 = - = x 5 x 5 x 1 x 1 Make equivalent fractions. 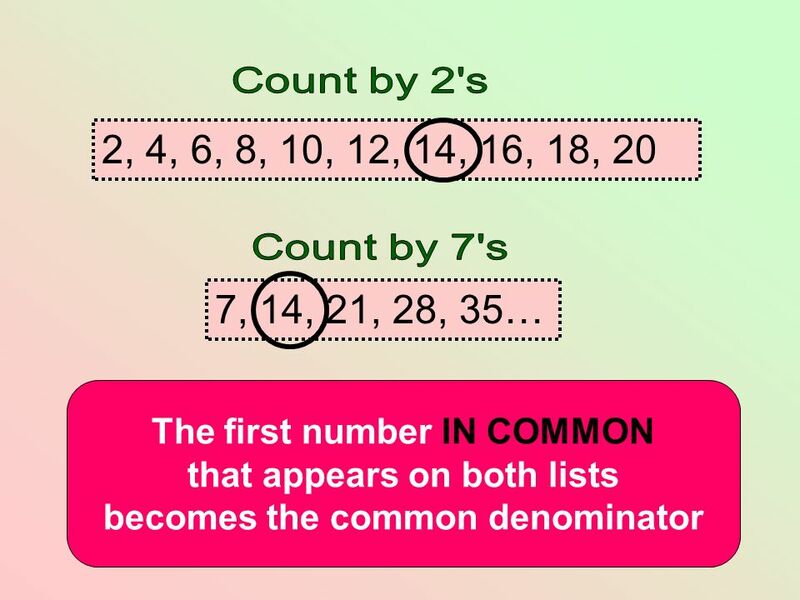 30 Answers On Next Slide Each click on the next slide reveals an answer. 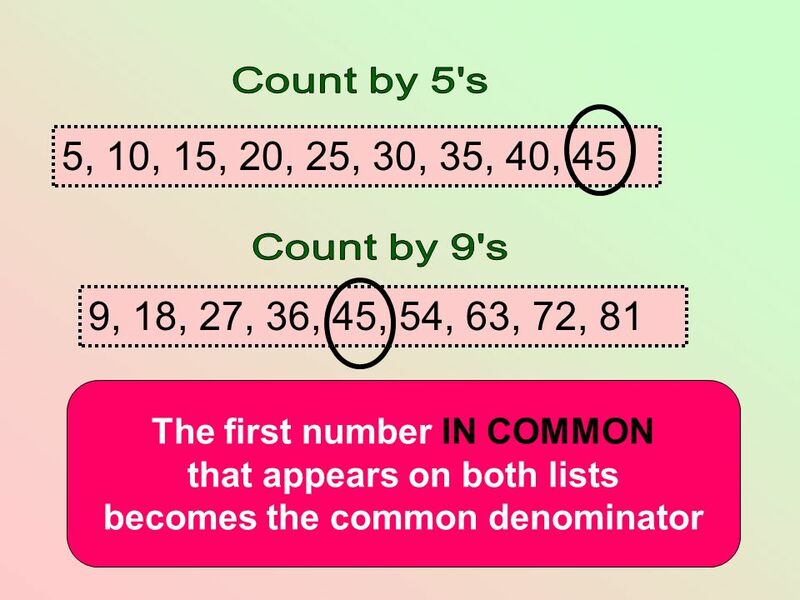 Check your papers. 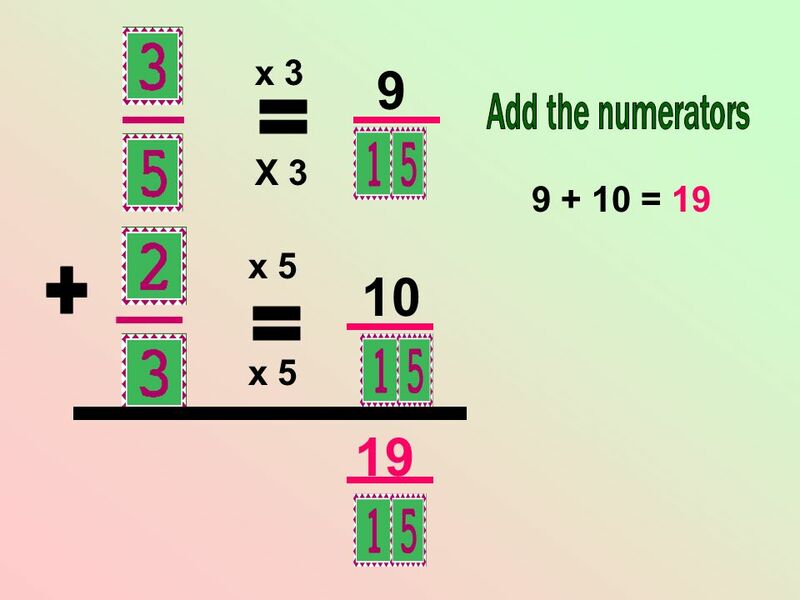 If you discover an incorrect answer, be able to explain your mistake. 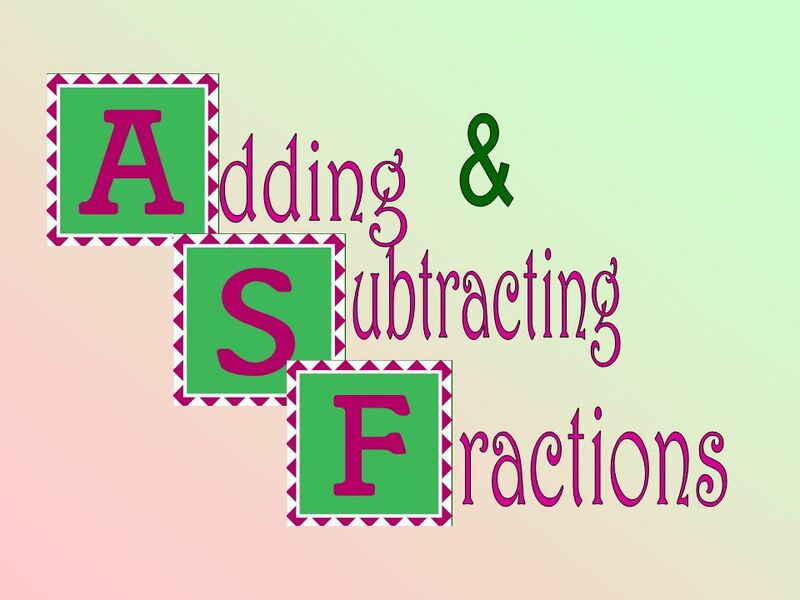 Download ppt "& dding ubtracting ractions."